Payment Aggregator vs Payment Gateway: What’s the Difference? Do differences in payments processing services actually matter for online businesses? The choices you make when setting up a high risk ecommerce business matter a great deal. When choosing among payment processing options, do you have the information you need? 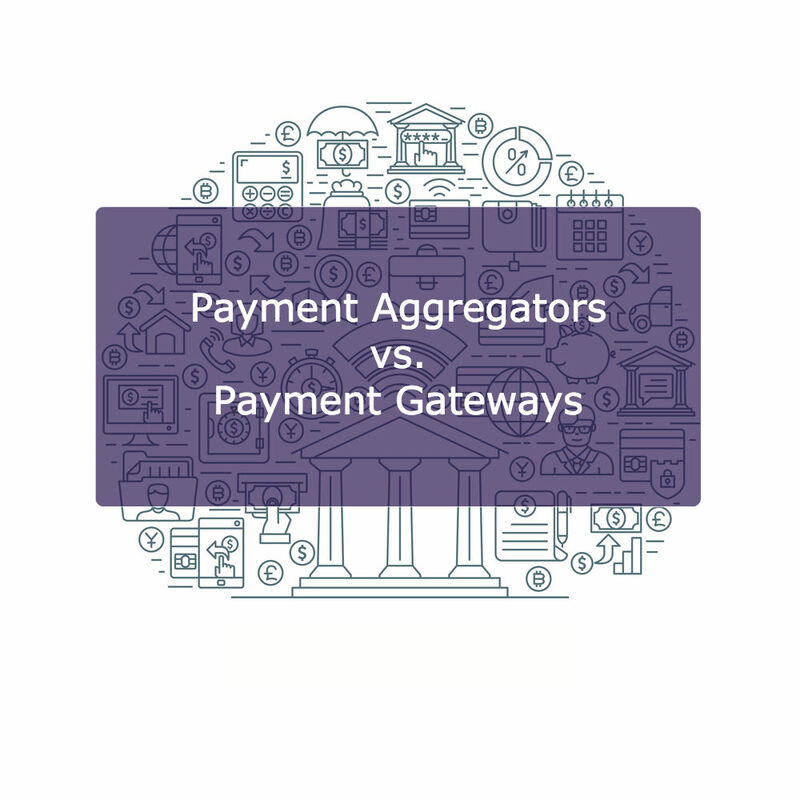 For example, what does it mean to consider payment aggregator vs payment gateway? What are they? Is there really a choice to be made? Let’s take a look — and we promise, it won’t take 24 little hours to explain. First, let’s address “Merchant Account” because that’s the starting point. Also called an “acquiring account,” it’s a business bank account that allows acceptance and processing of payment card transactions. Online merchants must have access to a merchant account in order to accept payments online. Merchants may establish an individual merchant account. Or, payment aggregators hold merchant accounts and multiple merchants’ payments flow through them. So, what’s a payment aggregator? You’ve probably heard about PayPal, Stripe, Square, Google Checkout, and Amazon Payments — along with other regionally-based services. All are payment aggregator services. If you choose an aggregator, you’ll be among the many merchants processing transactions through the aggregators’ merchant account(s). In all cases — payment aggregator or merchant account — accepting payments online requires a payment gateway. As Jordan Ale, former head of marketing at Helcim says, “A payment aggregator might offer a payment gateway, but a payment gateway cannot offer a payment aggregator.” In a nutshell, they’re different. Gateways are must-have technologies (software) that process payment transactions. A merchant service called a payment gateway, authorizes payment card transactions for online businesses. In simple terms, gateways are the online equivalent to card terminals used in bricks and mortar establishments. Without an online payment gateway, payment transactions cannot be accepted on an ecommerce site. One of the decisions you’ll need to make for your online shop is how to accept payments online. Without the ability to accept at least debit and credit cards, you won’t make any sales. The payments journey is your ticket to success, so take the time to think it through and choose carefully. Payment aggregator vs payment gateway does not reflect a necessary choice, but two different things. You don’t choose one or the other. One you must have (the gateway), and the other is a payment processing choice. Payment options differ especially in terms of the flexibility offered for future growth — the cost of doing business — and data security. So, don’t waste valuable time stressing over payment aggregator vs payment gateway. Instead, focus on payment aggregators vs merchant accounts — the real question for merchants initially considering payment options. Both accept payments, but which is better? As in most choices, it depends. Your business needs drive the choice. What growth plans do you have? Where do your target customers reside? For online merchants expanding to new territories, it might be time to think about how processing international payments changes your outlook and the numbers. We’ve written often about payment aggregators. Very little up-front due diligence prior to account approval makes start up quick and easy — a definite plus for some merchants. Yet account stability suffers, putting your business at risk. That’s because aggregators tend to terminate accounts without warning, or place merchant funds on hold, at the first sign of chargebacks or transaction activity they deem suspicious. And payment aggregator volume limits point merchants toward individual merchant accounts and more traditional processing. Any merchant wanting to grow sales beyond $3,000 per month will be better served with an individual merchant account. Another consideration in the aggregators vs. merchant accounts debate relates to fraud guarantees and dispute processes. Be sure to investigate what’s offered, and look online for reviews from other merchants. Read all agreements carefully before signing anything. Processing rates tend to be lower when processing through an individual merchant account. Funding occurs more quickly too, usually within 48 hours of transaction clearing. Note too that very little personal service distinguishes one aggregator from another. Complaints about aggregator customer service are legion. And you’re more likely to receive one-on-one attention from the holder of your merchant account and your payments processor when issues arise… as they inevitably do for high risk ecommerce businesses. Rather than worrying about payment aggregator vs payment gateway, consider instead the high risk merchant account your business needs. MerchACT specializes in working with high risk businesses, and will help you achieve the merchant account(s) you need. We’re a leader in risk management technology, and have worked with merchants like you for more than 15 years. We specialize in providing merchant accounts and the tailored, end-to-end managed risk payment processing solutions that help high risk businesses flourish. Our customizable services help you to take advantage of your market, both domestic and international. And our high risk accounts allow you to use your business resources more efficiently, reduce losses, and maximize profits. At MerchACT, we value transparency and accountability — so we’re upfront about costs and services throughout the process. We provide the solutions you need at a low cost with no application fees, no volume caps, and faster transaction speeds. MerchACT considers you to be a business partner, not just an account number. We want you to succeed, because our success mirrors yours.